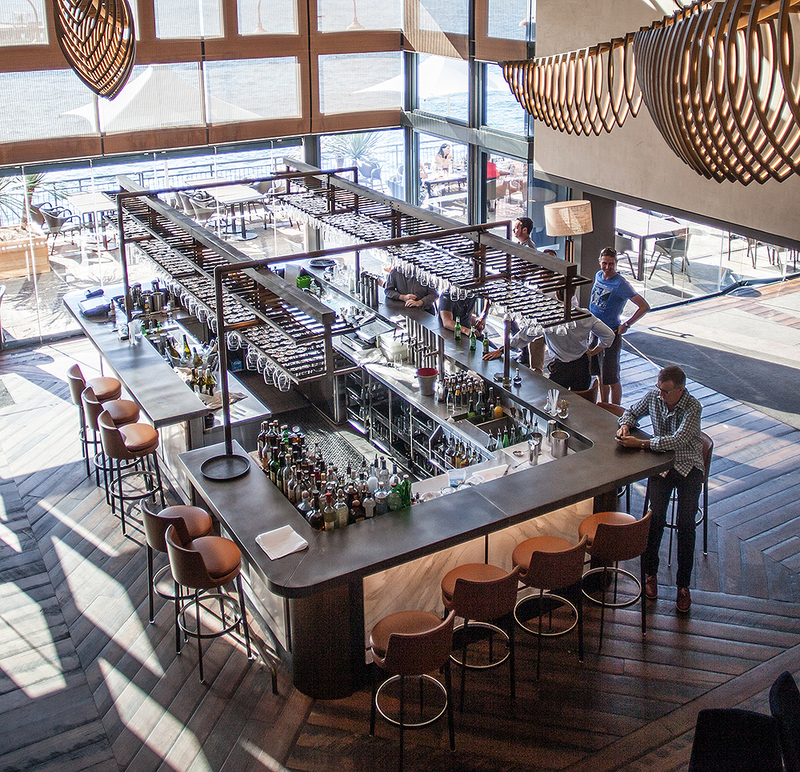 The Pier One Sydney Harbour fit out also sees the Axolotl Sheet Metal process utilised throughout the bar and entry, with the aged solid brass in-floor signage complementing the overall design aesthetic. The central Autograph bar features a custom aged zinc counter top. Zinc sheets were folded and formed around the counter profile, and treated with a distressed florentine finish to create a strong, solid appearance while utilising metals that are less than 1mm in thickness. Published on April 13, 2015 by axolotlblog.